It’s quite common for an Ohio Land Contract to have a contract duration of 3 to 5 years with a buyout clause — often called a “balloon payment” — due at the end of that time period. Let’s examine why that structure is common. 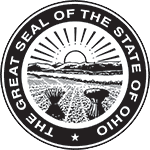 In an Ohio Land Contract, the Seller takes the place of the bank and retains an interest in the property until the purchase price is paid off. But most Sellers are not in the business of making money on interest like a bank, so a shorter contract duration often makes sense. Typical timelines are three to five years, for a couple of reasons. Many Sellers want to cash out of their property as quickly as they can. They would take the immediate cash payment from a bank mortgage sale if they could. But Sellers often agree to a Seller-Financed deal as a way to move a property that has sat empty for awhile, or to help out a friend or family member who may not have a big down payment or a great credit score. Sellers often set the contract duration only long enough for the Buyer to find bank financing. That allows the Seller to cash-out of the deal after collecting monthly payments for a short time period while giving the sale the best chance of being successful. Cashing-out is a typical Seller consideration. But the buyout timeline also should be set with consideration given to Ohio state law, too. Ignoring a stated deadline within that state law can lead to an expensive, time-consuming legal requirement if the deal goes bad. If a Buyer fails to make payments and breaches the contract before 60 months have passed since the Land Contract signing, a simple eviction process is undertaken to remove the Buyer and reclaim the property. But after 60 months, a foreclosure action must be undertaken, which takes more time, is more complicated, and often more expensive. Setting the buyout period to fall just before month 60 eliminates the possibility of a protracted foreclosure process. That’s why most balloon payments on an Ohio Land Contract are due right before the 5-year mark. But in the end, the duration of the contract, the purchase price of the property, the interest rate charged, and other terms and conditions are completely negotiable between the Buyer and Seller — and both parties should remember this important fact. Those negotiations include whether or not an Ohio Land Contract balloon payment is required to complete the deal.